Jenny has always loved singing, and with the guidance of her Father, Edgar Buckingham, who was organist and choirmaster at Sherwell Congregational Church, she began singing solos, mainly around the local churches, at a very young age. Having trained as a Classical Singer, studying under various teachers, both in Plymouth and Portsmouth, she has appeared with various choirs and choral societies in the region, performing both classical and musical theatre items, together with some contemporary music, all of which she enjoys. For many years, Jenny appeared in leading roles as a principal soprano with The Plymstock Amateur Operatic Society, (now renamed The Sounds Musical Theatre Company), where she first met her long-time duet partner, Edward Gigg. She became their Musical Director and has been responsible for over 30 productions with them. Whilst she no longer directs their main productions, she still is responsible for their compilation concerts, presented annually. In addition, she directs the Brixton Village-Airs, helps with Sherwell Church Choir and is an established singing teacher. This latter skill is of great benefit to the Choir on a weekly basis. In 1997, she joined The Sir Joshua Reynolds Choir as a singer, but within a few years became their Musical Director, working alongside her childhood friend, Anne Kalas. Anne started her association with the piano when, as a pupil at Plymouth Public Secondary School, she played for her school choir. Having done a 4 year course at Philippa Fawcett College in London, where she obtained a B.Ed Hons (Music) degree, she returned to Plymouth to take up a teaching career which lasted for 37 tears, both full and part-time, starting at Ford Secondary Modern and finishing at Woodford Junior School. As a piano teacher she has had as many as 40 pupils at any one time. Whilst she has been with the Sir Joshua Reynolds Choir for some 21 years, Anne has also accompanied The Reydon Singers, Crownhill Choral Society and The Plymouth Oratorio Choir. In addition she has played for the Junior Choir and now the Church Choir at Sherwell United Church, which she has attended since childhood. It was here that she first became friends with our Musical Director Jenny, with whom she has worked on many occasions, including a partnership with The Sounds Musical Theatre Company. In between the times spent on the piano, Anne helps to look after her grandchildren, likes to read the Classics, is obsessed with Crosswords and Sudoku, and loves to go on holiday. She says “I try to go to Pilates and I really enjoy cooking, but I have to get my husband, Paul, to do most of it as I am so busy! It was in 2012, and through a work connection with one of our members, Jennie Charlesworth, that Ed agreed to let us perform his setting of the Carol ‘This Endris Night’. Sadly, Jennie lost her battle with cancer in 2015 and the Choir asked if they could repeat the piece at their Annual Sell-out Christmas Concert and dedicate it to her memory. Ed willingly gave his permission and was present at the concert. When the Choir asked him to become their Patron, he readily agreed. 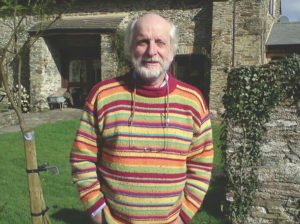 Ed, together with his wife Jane, lives in the South Hams where he has his studio. He was born in Oxford, where he had a classical music background. His father played in dance bands and was a church organist. Ed was introduced to the piano at the age of four, sang in the local church choir, and eventually progressed to become Head Chorister at Christ Church Cathedral School, Oxford. On leaving there, he became a first music scholar at Ardingly College, Sussex where he played cello and wrote hymns. He gained a scholarship to Trinity College of Music, London, and studied composing. On leaving , his contacts led him to United Artists where he worked on lots of British Films, including Paul Gallico’s ‘The Snow Goose’ and a remake of ‘The Thirty Nine Steps starring Robert Powell. Whilst there, he formed a 25 year friendship with Spike Milligan, after writing for his film, ‘Adolf Hitler – His Part in my Downfall’. Ed appeared on televison alongside Spike, performing his own songs. Together they released an album in 1979. It was around this time that he heard about a new game show called ‘Blockbusters’. He wrote the theme tune for that, which, he says, was life changing. His list of credits is endless; the music for Catchphrase,The $64,000 Dollar Question, One Foot in the Grave and the National Lottery, to name but a few. He has worked on a myriad of children’s programmes including Thomas the Tank Engine, Moppatop Shop and The Hoobs. 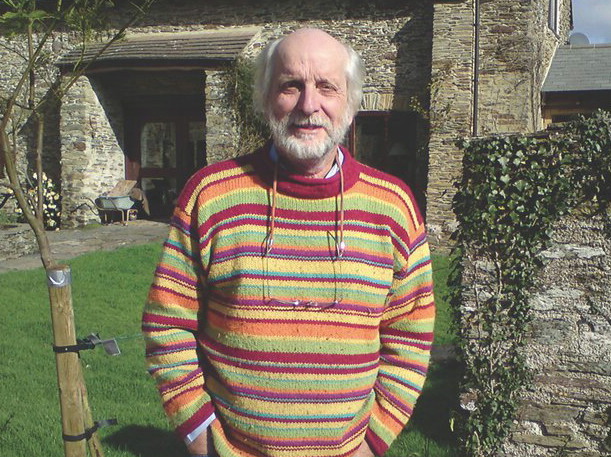 He and Jane moved to the Westcountry in 1978, and whilst he travels to London on a regular basis, he established his studio here. He became Musical Director for TSW where he composed the station identification music and that for the much loved Gus Honeybun. The above is a mere snapshot of Ed’s career to date and does not do justice to his many achievements and talent.